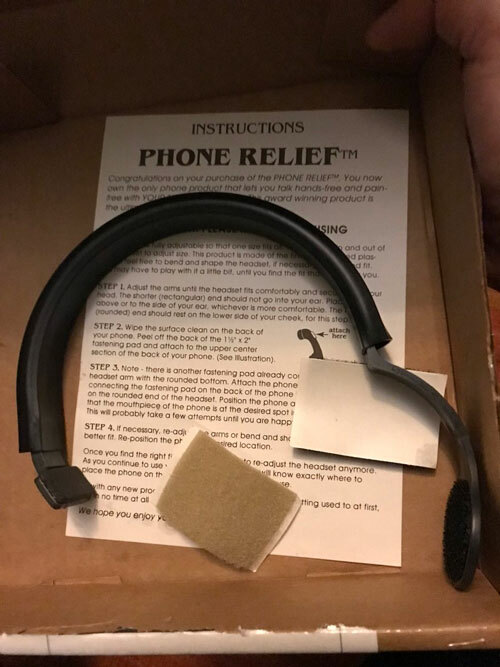 Inspired by something I saw online, I bought Phone Relief, an “As Seen On TV” product that turns any phone into a hands-free phone—so you don’t have to. As infomercials go, it was an incredible one. A clip, less than a minute long, that somehow made compelling case that people should wear a piece of plastic on their heads, strap a piece of velcro to the back of their wired telephone phone, and get a truly hands-free experience. This week, a tweet about an infomercial received more than 100,000 retweets and 380,000 likes, an impressive level of virality for a device that saw its heyday in the early ‘90s. A newspaper ad for Phone Relief, circa 1994. It is amazing because it makes anyone using it look like an absolute goober. The packaging. These packing materials were not designed for an unboxing video. A drab cardboard box, with an address label taking on a whole bunch of space. Opening it makes clear that the care put into this product was not tender or loving. The joy of this product did not translate into a box worthy of, say, Unbox Therapy. The author tests the device. The look and feel. 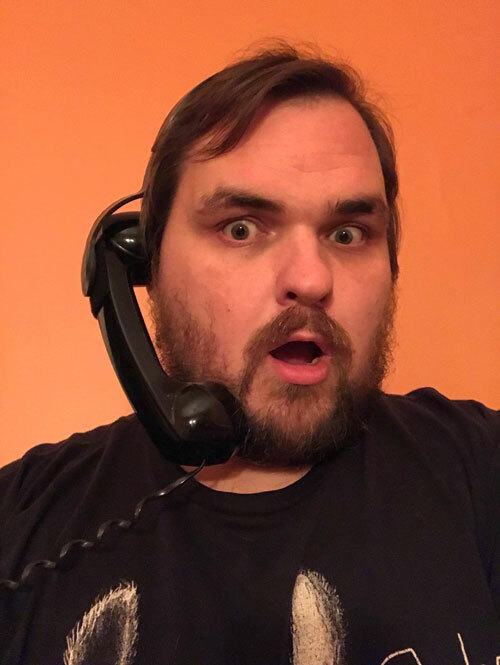 When I tried putting it on my head using an old rotary phone headset I had lying around, I found the headset fairly snug, but not to the point where it negatively affected the circulation to my brain. (That was already in trouble after I spent the money to buy this thing.) I also tried it on my smartphone with my wife around. She questioned her dedication to me. She asked, “Why would you do this to yourself?” Honestly, this product feels like a self-own, but I knew that going in. But if I hadn’t bought it, the internet would have no idea what it was missing and what exactly made that commercial so compelling way back when. Should you buy it? If you have 16 dollars burning a hole in your pocket to buy one of these devices on eBay, you should consider getting a roll of quarters and using the rest as bus fare on a trip to the nearest arcade, even if you own a car. You’re wasting your money and time, but at least you’ll have fun doing it. I should wear this out to a coffee shop sometime, just to see if people ask me if I'm OK.